In describing the importance of the Covered Wagon Inn, Laura Hutton comments on the Save the Covered Wagon Inn Facebook page, “… This historic building adds to the character of this township, it demonstrates a continuity to our past and pride that our past is also part of our future.” Laura, your words could not be truer and only amplified by the historical findings of historian and author Margaret DePiano of Devon. Since reading about the proposed CVS land development project which includes the demolition of the Covered Wagon Inn, Margaret DePiano has been pouring over the early history of the building. She has identified early owners, their relationships with historic events and compared multiple sources for documentation. Her research about the historic building (Covered Wagon Inn), its 18th century owners and the ties to the Revolutionary War era are fascinating. Margaret is continuing her research on the early days of the Covered Wagon Inn but I wanted to share some of her findings on Community Matters. Thank you Margaret; your research underscores and adds to the importance of saving this building. For those who would like to add their signature to the growing list of names on the Save the Covered Wagon Inn petition, please click here and you be taken to it directly. Around 1720, when the Old Eagle School Road was carved out to intersect Lancaster Avenue (then Conestoga Road) the new road meandered through fields and pastures of our early farms. Those farms had many out buildings and one out building in particular is a part of the Old Covered Wagon Inn. The out building referenced here is situated within the middle part of today’s structure showing the outside chimney facing Lancaster Avenue. This out building existed on a farm that most likely dates back before 1700. Many land records, tavern licenses, etc. before 1800 may not exist or incredibly hard to locate. According to an old circa 1776 map the particular location of this out building identified as the Miles Tavern was actually very close to the Chester and Philadelphia County border. Delaware County was not founded until 1789 and it was years later before its border could be identified on area maps. Many tavern proprietors or landowners close to this Philadelphia County border identified Philadelphia as a source of origin for their establishments. These early taverns often served as posts for military recruiting as well as for military signaling. The proprietors and their families of the many taverns along the old Conestoga Road were prominent individuals. The Miles Tavern (The Old Covered Wagon Inn) was established around 1747 according to historical writings found within our local historical societies’ records. This tavern’s proprietor James Miles married Hannah Pugh and was a very active participant in the founding of The Baptist Church in the Great Valley. The Miles Tavern was ideally situated as a military post in the early days. It was located on the Conestoga wagon route with a direct access to Philadelphia as well as with Old Eagle School Road, which provided a short traveling distance to Valley Forge. Many unnamed Patriots are buried at the Old Eagle School Cemetery. A possible historical association to the old Miles Tavern, which was located adjacent to or within the Philadelphia County borders that may be most impressive, was the then-Captain Samuel Nicholas who was the first commissioned officer by the Second Continental Congress on November 28, 1775 to lead a battalion of Continental Marines. Surmised by historian Edwin Simmons, Nicholas used the “Conestoga Waggon” tavern as a recruiting post however; the standing legend in the United States Marine Corps places its first recruiting post at the Tun Tavern in Philadelphia. This historical reference to an old “Conestoga Waggon” recruiting post at, near or within the Philadelphia borders may place the Covered Wagon in a position that quite possibly played a role in forming the Continental Navy in 1775. Today’s Old Covered Wagon Inn with a different spelling of “Wagon” may have taken its name from the early “Conestoga Waggon” tavern. To add to the historical intrigue of the old Miles Tavern, Samuel Miles, son of James and Hannah, enjoyed a very prominent career in the military as well as in other careers that followed—A few historical snippets include: enlisted in Isaac Wayne’s Company, a part of Pennsylvania’s militia during the French and Indian War; organized a militia company of his own early in the American Revolution; entered politics and was elected to the House of Assembly in 1772 and was an advocate for American independence early on; George Washington’s dependence on Miles to secure boat transport for Washington’s army as it made it’s way south from New York to Yorktown in 1781; continued his role in history as a businessman when in 1783 he negotiated with financier Robert Morris to help underwrite the voyage of The Empress of China, the first American vessel to visit China’s mainland; cofounder of Centre Furness in State College with John Patton in 1791; was made Judge of the Appeals Court and served as an alderman and mayor of Philadelphia from 1790-1791—and there’s so much more! Many taverns along the old Conestoga Road changed names frequently and at times, some taverns were acknowledged as having a shortened version of a name, given a nickname or no official name at all. Historical writings indicate that from 1747-1832 the Miles Tavern changed it name many times such as: John Miles Tavern; The Black Bear Inn; The Irish Tavern; The Unicorn (different location as the later Unicorn Tavern at Conestoga and Lancaster); The Commodore Decatur—named after Stephan Decatur Sr. and Jr. (Navy); and at times, no name. Writings indicate that Jonathan Pugh with his son Captain Samuel Pugh were proprietors of the “older” portion of the tavern with James Miles’ son Richard owning the “newer” part until 1784. Around that time, the tavern was renamed The Unicorn. This reference about an “old” and “new” lends one to believe that the tavern had been enlarged before 1784. There was also an indication that from 1778-1784 Robert Kennedy rented The Unicorn—which was formerly named the Miles Tavern. Records indicate that Robert Kennedy purchased the establishment in 1784. There’s so much more “early” history associated with The Old Covered Wagon Inn that we as a community cannot let this awesome piece of history slip away. Today’s Main Line Suburban Life newspaper offered the following article by Blair Meadowcroft concerning the recent Board of Supervisors Meeting and the St. Davids Golf Club Motion. I decided to post this article because it quotes John Petersen as saying that he intends to move forward with the lawsuit against the township. As of today, John has changed his mind and will not file the lawsuit. Rather than people reading this article and misunderstanding, I thought it best to clarify the situation. John has left on a business trip otherwise I would let him explain . . . perhaps he will offer an explanation for his decision once he gets to Austin. 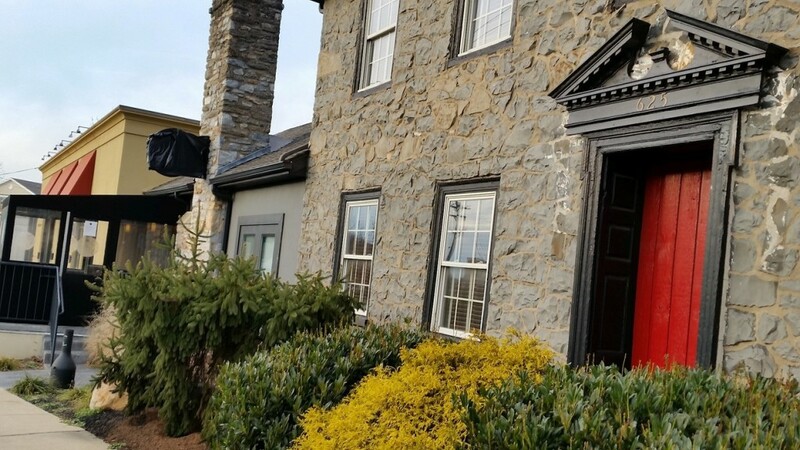 The St. Davids Golf Club issue, which has been a heated debate for weeks in Tredyffrin Township, has taken yet another turn. Specifically the motion stated that the vote made on Jan. 25 “be reversed and rescinded.” While this on its own made residents happy, more conditions were added to the motion that quickly changed their opinion. According to the motion, the BOS, Planning Commission and Sidewalks, Trails and Paths Committee (STAP) will form a subcommittee to “begin a process to re-examine where the community wants and needs sidewalks.” Under this motion the committee will look at the “conditions upon which the Planning Commission may from time to time grant relief from our land-development ordinance” among other specific assessments including prioritization and funding sources. According to Lamina the subcommittee will be initiated in March and the process of re-evaluating should be done by the end of the year. According to Township Manager Mimi Gleason, the idea of discussing and defining the greenworks network, which is a part of the Comprehensive Plan, had been considered, and such an assessment, if done, would hopefully gain resident input on what is wanted or needed in the township. However, in response to Lamina’s motion, residents questioned why there wasn’t a simple reversal without added conditions. Many suggested the board divide the motion into two separate parts, and requested to see it in writing and be given time to consider it before taking a vote. The underlying feeling from those who spoke at the meeting was that the residents no longer trust the board and therefore question its actions. According to Lamina, St. Davids officials confirmed their continued obligation to put in sidewalks, and that everyone he had spoken to regarding the proposed motion was on board. After hearing varied comments from residents, most of whom were against the motion, as well as comments from board members in favor of it, Lamina held a vote. The board unanimously passed the motion. As a result of the conditions placed on the motion, Tredyffrin resident and one-time supervisor John Petersen has decided to sue the township. Before the meeting Monday night, Petersen had written up a complaint against the township and specifically the four supervisors who originally voted in favor of the motion. His intention was to wait to see how the meeting played out and then decide whether or not to serve the township the papers. According to Petersen, his plan is to review the lawsuit and make a few changes, and will go forward with this within the week. UPDATE: Digital Billboard Battle Not Over – Zoning Hearing Board Mtg on April 25, 7 PM! Your Voice Matters! T/E Finance/Budget Workshop Results: 6% Tax Increase Continues & re District Accounting Error, the School Board Dismisses Community Financial Experts to Support Business Manager … Good Governance? Proposed 6% Tax Increase in T/E School District – the Largest in Decades! Is It Possible that an Accounting “Timing” Error Could Change the Outcome for Homeowners? Tredyffrin Township Denies Two Applications by Catalyst Outdoor Advertising Related to Digital Billboard Project in Paoli! Application Filed to Demolish the Clockworks Building in Paoli + Video Clip of BAN the Digital Billboard Lawn Sign Thief! How many assisted living facilities does Tredyffrin Township need/want? Is the idea “build it and they will come”? Sign Up to Follow Community Matters! Pattye on T/E Finance/Budget Workshop Results: 6% Tax Increase Continues & re District Accounting Error, the School Board Dismisses Community Financial Experts to Support Business Manager … Good Governance? Tredyffrin taxpayer on T/E Finance/Budget Workshop Results: 6% Tax Increase Continues & re District Accounting Error, the School Board Dismisses Community Financial Experts to Support Business Manager … Good Governance? Easttown resident on T/E Finance/Budget Workshop Results: 6% Tax Increase Continues & re District Accounting Error, the School Board Dismisses Community Financial Experts to Support Business Manager … Good Governance? Sean Moir on UPDATE: Digital Billboard Battle Not Over – Zoning Hearing Board Mtg on April 25, 7 PM! Your Voice Matters! Pattye on UPDATE: Digital Billboard Battle Not Over – Zoning Hearing Board Mtg on April 25, 7 PM! Your Voice Matters! LocalRes on UPDATE: Digital Billboard Battle Not Over – Zoning Hearing Board Mtg on April 25, 7 PM! Your Voice Matters! TE Resident SL on UPDATE: Digital Billboard Battle Not Over – Zoning Hearing Board Mtg on April 25, 7 PM! Your Voice Matters! Tom McCarey on UPDATE: Digital Billboard Battle Not Over – Zoning Hearing Board Mtg on April 25, 7 PM! Your Voice Matters! T/E Anonymous Parent on T/E Finance/Budget Workshop Results: 6% Tax Increase Continues & re District Accounting Error, the School Board Dismisses Community Financial Experts to Support Business Manager … Good Governance? Carolyn Daniels on UPDATE: Digital Billboard Battle Not Over – Zoning Hearing Board Mtg on April 25, 7 PM! Your Voice Matters! Paoli Resident on UPDATE: Digital Billboard Battle Not Over – Zoning Hearing Board Mtg on April 25, 7 PM! Your Voice Matters! Say No to Catalyst on UPDATE: Digital Billboard Battle Not Over – Zoning Hearing Board Mtg on April 25, 7 PM! Your Voice Matters! CHV on T/E Finance/Budget Workshop Results: 6% Tax Increase Continues & re District Accounting Error, the School Board Dismisses Community Financial Experts to Support Business Manager … Good Governance? Keith Knauss on T/E Finance/Budget Workshop Results: 6% Tax Increase Continues & re District Accounting Error, the School Board Dismisses Community Financial Experts to Support Business Manager … Good Governance?